Nosey the elephant is in caring hands after the Lawrence County District Court in Alabama issued a seizure order on her behalf. Nosey was forced to give elephant rides for years in spite of her obvious, documented lameness. The lame elephant found tightly chained, confined in her own waste, and without proper shelter, was removed from conditions very familiar to all who have tracked her abuse for years. 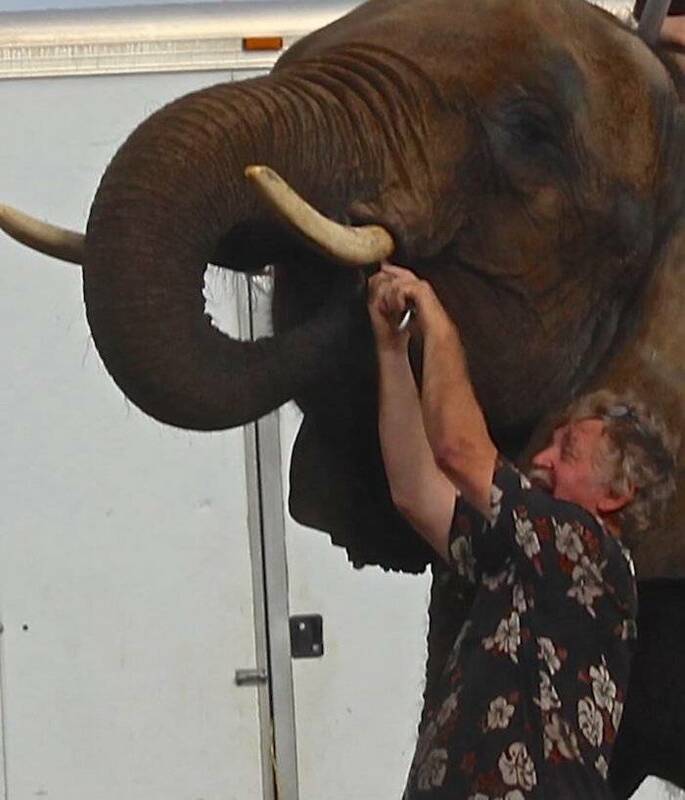 PETA thanks local authorities for seizing Nosey and the court for its decision today to transfer this long-suffering elephant into caring hands. PETA pledges to continue working in her behalf until she’s settled in a spacious sanctuary home at last. 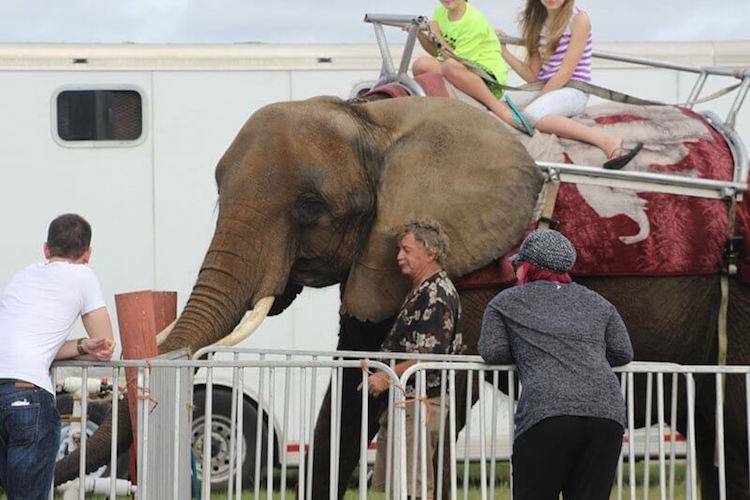 Nosey was held captive by notorious exhibitor Hugo Liebel, who used her for rides and shows. He has been cited by the U.S. Department of Agriculture (USDA) for nearly 200 animal-welfare violations. We won’t back down until we—and more importantly, other elephants like Nosey—have won. Nosey with "owner" Hugo Liebel.